Clockwise from top left: Durian Puff, Chee Cheong Fun, Xiao Long Bao, Steamed Egg Yolk Custard Bao, Seaweed Roll, Pork and Chinese Sausage Rolled in Beancurd Skin. This secret was actually revealed to me by my good buddy Y, this was how she said it “Have you tried the dim sum restaurant behind our house? No? You must! Damn on!” Yeah, that is practically what she had said, and for the record, she claims the expression ‘Damn on!’ as hers and she plan to advocate it to a point of becoming a common exclamation for anything that is real good. If you hear it anywhere else by anyone, remember you hear it here first with credit to Y, I did not want her to sue me for plagiarism. 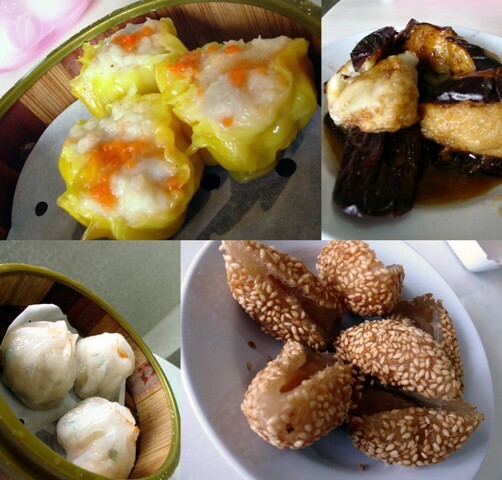 So, I perked up immediately with interest as I have always been on the lookout for good dim sum around Klang Valley. Either I found those that are mediocre or lack of choices, or environment not as good enough and usually those good ones you got to pay through your nose, which of course I have yet to explore so I cannot comment if those are good enough. But for this secret that we found, the price was reasonable, the choices are amazing during the peak like weekend breakfast to late lunches or the urbanites favourite hip brunches, while the choices dwindled down to acceptable for the other times but all in all the quality remains, freshness secured somehow and the environment is comfortable with air-condition (crucial for the crazy Malaysia heat), spacious, and clean. Totally defying the usual dim sum haunt where people have to brace the heat, the humidity, the rowdy crowds, the tight spaces where servers try to navigate around tight spaces with huge tray of dim sum for people to choose. On top of it all, the most important criteria for this place worthy of praise is its dim sum, of course (duh!). But it is definitely true; the dim sum makes this place worth to be the ‘secret’. Normally dim sum are made of two very key ingredients – pork and shrimp. Both of these are really fresh here, where the pork (suspected to have mixed with pork fat and beaten together to form the paste) always has what Asian like to call, the QQ texture (soft yet toothy), while the shrimp, minced or whole, are also springy and absent of any hint of staleness. Other than that, there also many more items worthy of trying over here, in variety from its steamed dumplings to steam bao to fried items to even the sweet stuff. 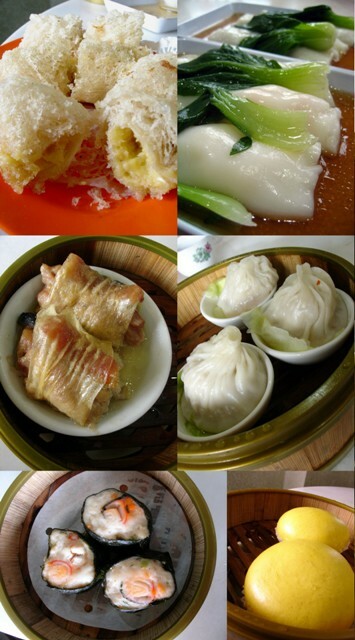 My personal recommendations to try are first, the most ubiquitous dim sum around – Siu Mai (steamed pork dumpling). Oh boy, the Siu Mai over here is definitely superior to the usual, with the fresh pork and prawn mixed and wrapped together, it also has a pleasant flavouring that I couldn’t quite guess what of but happily chew away anyway. Give it a try and you shall know what I mean. Next on my list is the Chee Cheong Fun, also superior to many out there, as this one, the skin is as smooth as silk with good mixture of either prawn or Char Siew or both with a good dose of sauce. Another must try is the Scallop Har Gao, better than the more familiar Har Gao, this one has its specialty of fresh scallop along with prawn wrapped in crystal like skin. Besides that, from my numerous experiences at this place, those that I can remember as good on top of my head now are fried prawn dumpling, thai style beancurd and XO pork ribs. For sweet stuff to clean the palate, I highly recommend the durian puff which is real durian pulp wrapped with nest-like pastry and then deep fried till crispy, really a must for durian lover though these are usually only available during weekend and normally sold out by lunch time. Before you rush out to this secret of ours, there are few things to take note of. If you go during the peak hours of the weekend where it is hip to have dim sum for brunches apparently, be prepared to wait for a table. They had set up a tent with chairs for people to wait outside the restaurant, so if you are prepared to wait in the heat and your tummy are not growling with hunger, then you can head there, give your name and wait for your turn to be called. Rest assured though once seated, you can start your feast right away as they have trays and trays of steaming hot and freshly fried dim sum circling around for people to take straightaway. On the other hand, if you go during non peak times, it is entirely different where you can walk in straight for a table but you had to order your food through the menu or memory and wait for the food to be prepared. As during non peak times, the food are ‘steamed to order’ and some made to order as well. Though some fried stuff are ready for choosing but it may not be as piping hot as it should be. Now that the secret is out (though it may not seem like such a secret anymore judging from the crowd at peak times), what are you waiting for? Head out there now to have a fix of your dim sum, either be a hip urbanite and brace the crowd for your weekend brunches or when there are sudden pangs of cravings for little morsels of goodness; this secret place is sure to please. I will say it again and again. The dim sum place is DAMN ON! a must try! qwazymonkey, oo fried loh bak gou! ah definitely a try on my next round (which will not be far off). thanks for the tip! oh... they have the best SIU MAI ever! :) I'm so hungry right now. i passed by this place, and i brushed it off as another Hong Kee.